Historically, Raksha Bandhan is an ancient concept where queens used to send rakhis to their neighbourhood brothers as a sign of love and token of brotherhood. However, with most traditions, the entire concept of it has changed over time. 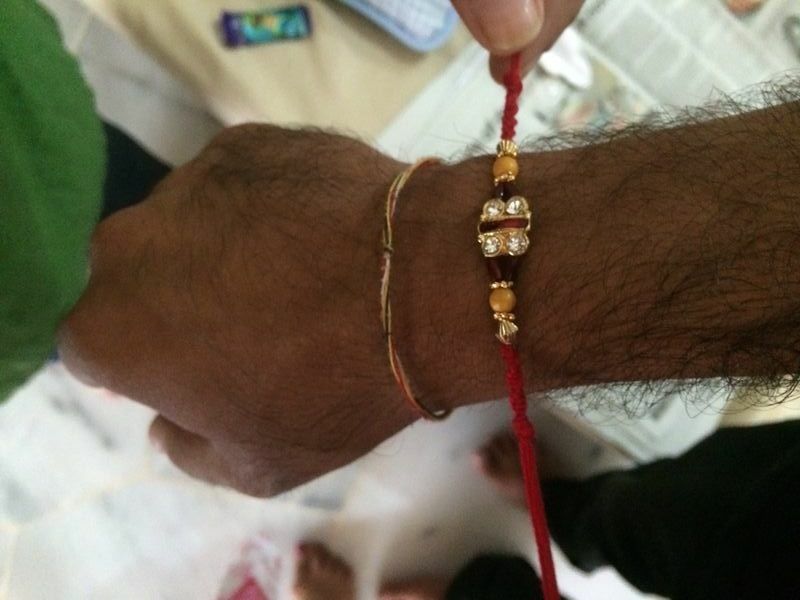 Raksha Bandhan in Sanskrit literally means “the tie or knot of protection“. It is an ancient Hindu festival that ritually celebrates the love and duty between brothers and their sisters. The sister performs a Rakhi ceremony, then prays to express her love and her wish for the well being of her brother; in return, the brother ritually pledges to protect and take care of his sister under all circumstances. The festival is also an occasion to celebrate brother-sister like family ties between cousins or distant family members, sometimes between biologically unrelated men and women. As with most Hindu festivals, there are a number of rituals that are usually carried out during this auspicious day. The sisters will usually shop for rakhis or even make their own out of colourful thread sometimes adorned with decorations or amulets. Meanwhile, the brothers will buy gifts for their sisters. On the day itself, the sisters will tie the rakhis on their brother’s wrist, followed by a simple prayer for the brother’s prosperity, good health and happiness and an aarti. Then, the sisters will feed their brothers sweets with their hands. In return, the brothers will then gift their sisters with the aforementioned gifts, and of course hugs are given and received left, right and center. The Geeta Ashram Youth would like to wish A very Happy Raksha Bandhan to one and all!